Are You Ready For the 39th Chess Olympiad? The Chess Olympiad will kick off in about two months. Below is the poster that GiLoCatur downloaded from its official website. 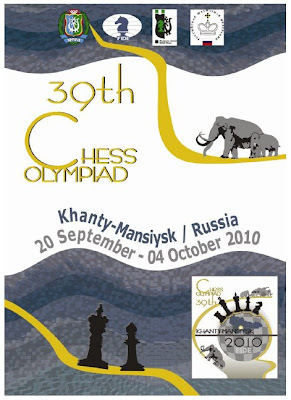 Below is the official website for the 39th Chess Olympiad. Check it out, especially it has the special reminder to all the participating nations and teams. WOMEN team - NWM Alia Anin Azwa (1904), NWM Fong Mi Yen (1905), WCM Nur Nabila Azman Hisham (1833), NWM Nurul Huda Wahiddudin (2020) and NWM Roslina Marmono (1933). So, are you ready for the big tournament for chess? How MALAYSIA will fare in 2010 Olympiad edition? 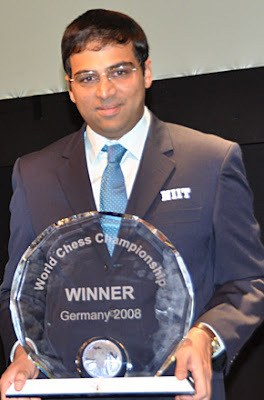 GiLoCatur found an interesting article about the reigning World Chess Champion, Viswanathan Anand from India, who wants to be numero uno again in the FIDE world rankings here. Anand, however, said his career is far from over. "Retiring from the sport has not crossed my mind and it is the last thing I can think of. I am only 40 and I will play as long as I can and enjoy playing. Right now I am focused and looking forward to the chess season." GiLoCatur hopes all Malaysian chess junior players will have similar spirit and determination of a world champion like in the above article excerpt. The key point is enjoy playing the chess. Never give up to achieve something and to excel. Need to be focused and look forward for chess tournaments. "We have about 8000 chess clubs, encompassing a million students across the country. The idea is to cover as many schools as possible. I am confident that if the 'Mind Champions' program is implemented properly, India will be the foremost chess nation once again," added Anand. What we can learn or follow from the above Anand's statement? Chess Clubs - active ones of course, are very important and crucial for a country to propel in chess. How many do we have in Malaysia? How many are active? 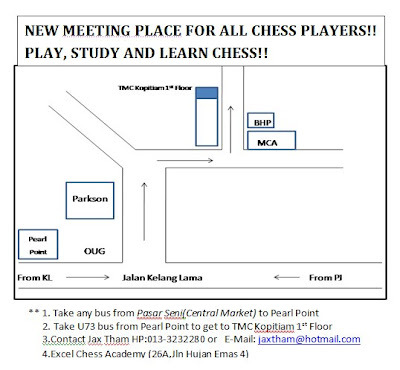 Have the chess clubs in Malaysia get the proper support and assistance? Schools play the important role in developing chess. A SIMPLE FACT. Need to outreach and cover as many schools as possible. How about in Malaysia? How many schools are active in chess? We need more schools like MBSS, SJK(C) Kepong, SK Jenjarom and SK Bukit Jelutong. What efforts have been done to promote chess in schools? Have chess associations and schools, education offices i.e. PPDs (District Education Offices), JPNs (State Education Departments) and KPM (Kementerian Pelajaran Malaysia) work hand in hand in developing and promoting chess? Chess development programs MUST be implemented properly for Malaysia to be in the world chess map. What chess developments programs do we have in this country? Do the responsible authorities and parties have such programs or plans? TO ALL THE MALAYSIAN CHESS COMMUNITY, FRATERNITY & SOCIETY - PLAYERS, COACHES, PARENTS, PENGERUSI TEKNIK CATURS, SCHOOL CHESS CLUB TEACHERS, ARBITERS, ORGANIZERS, CHESS ASSOCIATIONS AND CHESS BLOGGERS AS WELL, LET'S THINK, PLAN, FORMULATE AND, VERY IMPORTANT, TAKE ACTIONS FOR THE ABOVE QUESTIONS AND CHESS DEVELOPMENT IN MALAYSIA. Pada hujung minggu yang lalu, 24 & 25 Julai 2010, GiLoCatur sekeluarga pulang ke kampung di Simpang Lima dan Sabak Bernam. Di antara aktiviti utama GiLoCatur jika balik ke kampung sejak kebelakangan ini adalah untuk menjengok dan memantau kebun sawit yang GiloCatur dan isteri, Azizah, sedang usahakan. GiLoCatur sebenarnya masih baru dalam menguruskan kebun kelapa sawit. Masih banyak perkara yang perlu dipelajari. Kebun sawit GiLoCatur tesebut berkeluasan 4 ekar atau 11 baris kelapa sawit. "Berapa batang pokok kelapa sawit dalam sebaris? ", GiLoCatur bertanya kepada anak-anak ketika membawa mereka sama ke kebun tersebut. GiLoCatur berpendapat, mereka perlu didedahkan kepada hal-hal seperti ini agar mereka menghargai penat lelah untuk mencari wang pendapatan. Adalah satu perkara yang merugikan jika anak-anak tidak diberi exposure dan knowledge di luar kelas. Ilmu akademik semata-mata tidak mencukupi dan memadai. Pembelajaran sewajarnya tidak terhad di dalam kelas. Itulah prinsip dan pandangan GiLoCatur. Anak-anak pokok sawit yang sedang membesar. Rumput rampai perlu diracun agar pembesaran anak-anak pokok sawit tidak terganggu. Aktiviti tersebut dipanggil MERACUN. Tidak semua anak-anak pokok sawit tumbuh dengan elok dan subur. Banyak juga yang mati. Antara puncanya ialah dimakan babi hutan. Ya, ada babi hutan yang merosakkan anak-anak pokok sawit. Anak-anak pokok sawit tersebut perlu diganti atau diSULAM. Mengikut data dan statistik untuk kebun sawit GiLoCatur, sebanyak 48 pokok perlu diSULAM. Ini bukan kali pertama, semenjak mula ditanam GiLoCatur dan isteri telah membeli sulaman pokok sawit sebanyak 3 kali. Mengikut ingatan, 10 pokok kali pertama, 50 pokok kali kedua dan 10 kali ketiga. Pada hujung minggu yang lalu, GiLoCatur dan isteri membeli sebanyak 30 anak pokok sulaman lagi (gambar di atas). Berapa ongkos yang diperlukan untuk aktiviti sulaman tersebut? Ditambah dengan upah meracun, 11 baris x RM 10 = RM110 dan harga racun >> RM 86. Jadi, keseluruhan ongkos yang keluar dari kantong isteri GiLoCatur adalah sebanyak RM586. Sebenarnya pelbagai jenis racun untuk pokok sawit terdapat di pasaran. Untuk aktiviti meracun kali ini, GiLoCatur beli racun yang dikenali sebagai ECOMEX. Sebelum ini GiLoCatur dan isteri beli racun WEED HOE, racun lambat mati. Nak tahu berapa kuantiti racun diperlukan untuk kebun sawit GiLoCatur yang seluas 4 ekar tersebut? 8 liter atau 2 pek / botol racun seperti gambar di atas. Since GiLoCatur was not playing in the Perak Chess GP - Teluk Intan leg yesterday, GiLoCatur had the chance to watch several interesting, time-pressure and hard-fought chess match ups. Below are some of them. In the first round, the recent National Women Master (NWM) Fong Mi Yen had unfortunate first round match up. For some reason, Mi Yen who was seeded 10th with MCF ratings of 1676 in the tournament had to face Johan Jamil (white shirt) who was unrated and seeded 39th out of the total 59 participants. As far as GiLoCatur knows, Johan who is the brother of Hussein Jamil has MCF ratings of 1721 (April 2010 release). So, he is a no-nonsense chess player. GiLoCatur had the chance to play against him in the Batu Gajah Open in May 2009. Click here if you are interested to read further about GiLoCatur's travelogue to the tournament. Back to the match, NWM Mi Yen was outwitted by Johan in the time-pressure endgame. They should not have faced each other in the first round if the seeding has correct info. Many factors have contributed to the issue where all parties involve need to cooperate and work together to avoid such encounters in future chess tournaments. Maybe GiLoCatur will write further about it next time. After playing against Mi Yen, Johan faced her brother Yit Ho in the second round at table #8. The latter has a slight higher MCF ratings than Johan in the 1700 ratings club. The match also ended up in the time pressure. If GiLoCatur remembers it right, Johan lost the match up due to time. 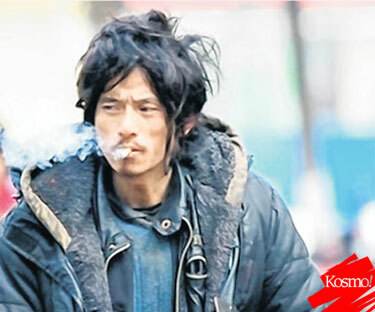 Then, in the third round Johan had to play against their mother, Chin Yoon Mei. What a tournament for Johan to remember since he faces the Fong clan in the first three rounds with 2/3 score. Johan also played against GiLoCatur's daughter in the tournament in the fifth round. It is also very interesting to note that the Fong siblings mother played in the tournament since Malaysian women chess players especially mothers are very rare to participate in chess tournaments. Keep on playing! The last game to complete in the second round and got attention of a crowd is a match up between Ismail Adnan (white) and a teenage girl named Siti Nurasikin Bt Ahmad (left in the above picture). Their match ended up in a draw. The above match up happened in the third round between the second seed and the ninth seed at table #2. Ahmad Muzafar Ramli of Perak with 1839 MCF ratings (left in the above picture) versus Roslan Sulaiman from the neighbouring state of Selangor who is with 1679 MCF ratings. Roslan, one of GiLoCatur's chess buddies, who came along with his 10-year-old son won the match. With full points of 3/3, Roslan played Anthony the recent Kilang Gula Open champion in the fourth round. His superb run could not continue further after he was defeated by the top seed. Terima kasih, Toche toche, Nandre and Thank you to all the visitors to GiLoCatur's Blog. 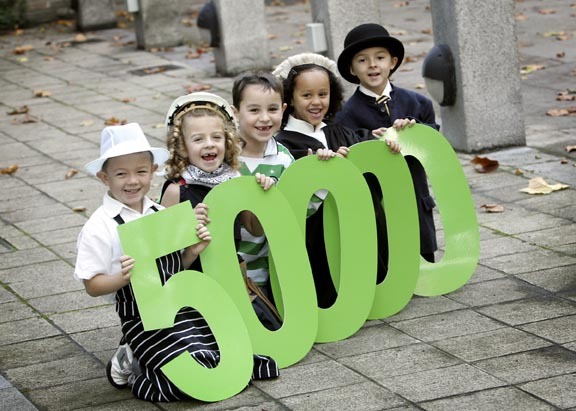 Today, 26th July 2010, less than two years this blog has surpassed the 50,000 mark. It is not easy to achieve such feat without the support of the chess community and fans especially the Malaysian and generally the world. Like yesterday while GiLoCatur was in the Perak Chess GP in Teluk Intan, GiLoCatur met and just knew a regular visitor to this chess blog. He whose, if GiLoCatur is not mistaken, name is Shahandas Bin Kamal from Manjung (GiLoCatur: Please alert if the name is wrong because GiLoCatur just base on the pairings that might has spelling errors.) is one of the tournament participants who knows and visits this blog regularly. What GiLoCatur salutes with him is that he brought along his baby and wife to the tournament. It shows his love to chess and his interest and dedication to participate in local chess tournament. GiLoCatur hopes he will keep his interest and passion to play and be involved in chess. GiLoCatur is very happy to get the chance to be in the Perak Chess GP - Teluk Intan leg because GiLoCatur get to know more and more local chess players like Mr Shahandas (or is it Shahanas?) and Mr Noorahim Abdullah. The Perak GP - Teluk Intan leg is coming to the final seventh round. On the top board, Fong Yit San is playing against the top seed, Anthony Liong Ing Kiat. The latter succumbed to a defeat by Syakir in earlier round. While in the sixth round, Yit San beat Syakir to lead by 1/2 point with 5.5 points. Do you know who is the Malaysian chess player that Anis played against with in the above picture? The match was during the MMU International Chess Open held in last February. 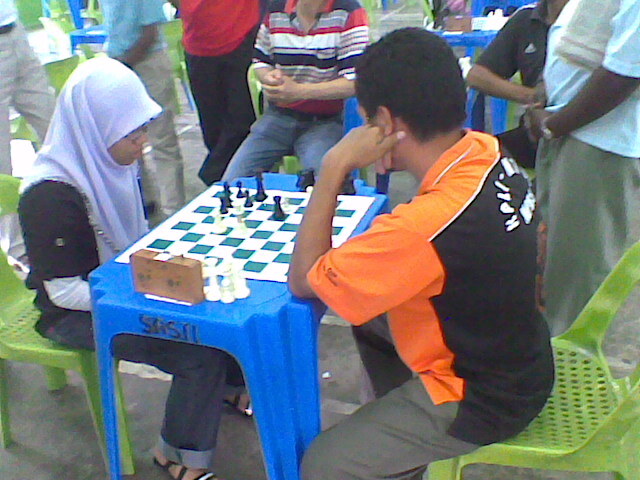 He is non other than Syazrin Abd Rahman, a chess player from Negeri Sembilan. He has created a chess blog named n9warriors @blogspot to post and update about N9 chess. GiLoCatur hopes Syazrin will keep his enthusiasm and energy up in the development of chess in his beloved homestate, N9. You don't know what to do this weekend especially on Sunday? And you love playing chess? 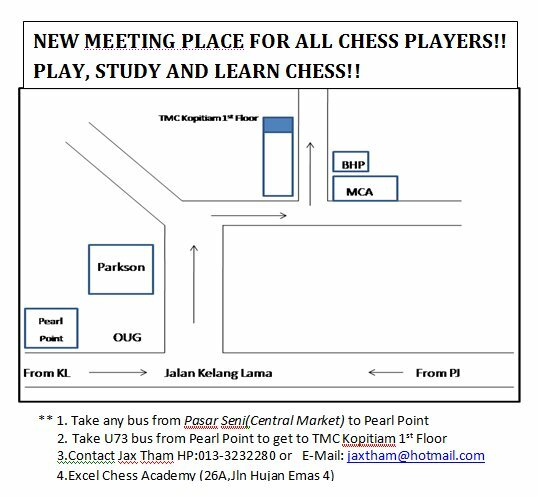 Here is a proposal for you - JAX THAM invites you to his chess center to have few rounds of chess. It is free of charge. Check out his message below and the map if you never been to his chess center yet. THERE WILL BE A PROMOTIONAL CHESS TOURNAMENT HELD IN EXCEL CHESS ACADEMY ON 25th OF JULY 2010 (SUNDAY). OVER FIVE ROUNDS OF 20 MINUTES PLUS 30 SECONDS INCREMENTAL TIME. PLEASE REGISTER LATEST BY SATURDAY THROUGH SMS OR EMAIL. ALL PLAYERS WHO REGISTER MUST ARRIVE BY 9.30AM. NO FEES WILL BE COLLECTED. HOWEVER, LATE PARTICIPANTS WILL BE CHARGE RM 10.00. SO BE PUNCTUAL. Be A Champion Wherever You Are! Which chess school team is it, the above picture? Can you guess? Is it a Malaysian chess school team? The answer is NO. Actually, it is the Lincoln Primary School chess team of New Zealand which is located in a city named Christchurch. Christchurch which is also known as the Garden City, is the second largest city in New Zealand. So, what is so special about the team that GiLoCatur wants to share here? If you look carefully at the picture, you will notice Malaysian faces. 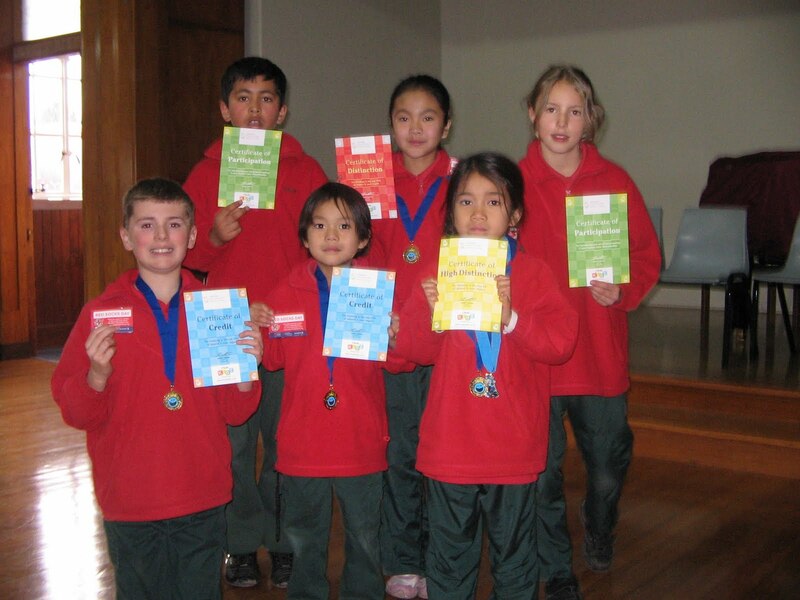 Yes, indeed, the team that had won the Christchurch interschool chess competition recently comprise of Malaysian kids. The champion in the scholastic tournament is the 8-year-old Nurul Farhana Halim Shuhaimi (same age with Fahim, GiLoCatur's youngest son) with a stunning full 7/7 points. GiLoCatur wrote about her last year in this blog - here. Her siblings - Nurul Izzah and Aiman, are also in the team. Syabas and tahniah to Farhana for winning the tournament. The same also goes to her dedicated and chess-loving father, Mr Halim. Keep up the good and hard work. Who knows, she will be the first Malaysian chess grandmaster. Malaysia needs more potential and very determined chess youngsters to put it on the world chess map. While browsing http://chesskids.co.nz/, the New Zealand chess website dedicated for its chess juniors, GiLoCatur thinks that we, the Malaysian chess society, should learn and emulate what should be done to develop and promote chess among the Malaysian youngsters from it. If other countries can develop chess, have various chess programs, have an excellent chess website to disseminate chess-related info and news and promote chess, why can't us? It doesn't matter whether it is commercial or non-commercial. If it is too difficult to get the fund for chess development (GiLoCatur believes the government can help by the way) from the government, be it commercial. Learn from the chesskids! If you want to view the full report or story, click here. Click here to view the full results of Farhana's rounds. Dek kerana Guorong yang berumur 34 tahun ada X factor (kacak, handsome, seksi) beliau telah jadi terkenal dan diminati setelah gambarnya tersiar di alam maya aka INTERNET. Bukan setakat itu sahaja, Guorong telah diberi wang oleh para peminatnya untuk memulakan kehidupan baru setelah kehilangan pekerjaan dan kehabisan wang simpanan. Dek kerana pengaruh internet, kini beliau mendapat pelbagai tawaran dan offer dan tidak menyelongkar tong-tong sampah lagi. Pengaruh dan keupayaan INTERNET memang tidak dapat dinafikan lagi. Apa yang diperlukan sedikit X factor. Itulah sebabnya internet merupakan salah satu kaedah marketing yang paling berkesan dan berpengaruh. MAKA AMAT RUGILAH KITA JIKA TIDAK MENGGUNAKAN IA SEBAIK MUNGKIN UNTUK APA JUA PROMOSI DAN PEMASARAN! One big question in GiLoCatur's mind right now is, WHAT IS THE X FACTOR FOR CHESS? Anyone has the answer? UPSI Chess Open IS BACK! Can you guess for what chess tournament the trophy in the above picture is? The holder is the champion last year who received it? Can you guess who was the champ? Still no clue about the answers? Maybe below picture will give you better clue. Surely, most the Malaysian chess community especially the Selangor MSS chess contingent know below macho and handsome man. LOL! He is non other than Cikgu Zull. Cikgu Zull has messaged that just be prepared and mark your calendar for 23rd & 24th October 2010. 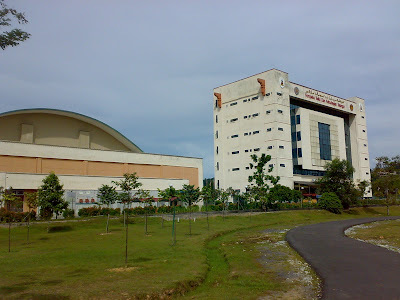 The dates are for the 4th UPSI Chess Open. The details are yet to be published. But if based on the previous tournaments. It would be 7 SWISS system rounds. The format is G/60 or 60 minutes time control per player. Four rounds on the first day, another three on the second one. The prize money? RM1,000 or maybe more for the Open champion. GiLoCatur hopes the prize money for Under 12 & Under 18 categories would be increased to motivate and attract Malaysian junior chess players. Another important thing, promotion and tournament flyers shall be distributed to all nearby schools. SO, INSYA ALLAH SEE YOU IN UPSI, TANJONG MALIM. 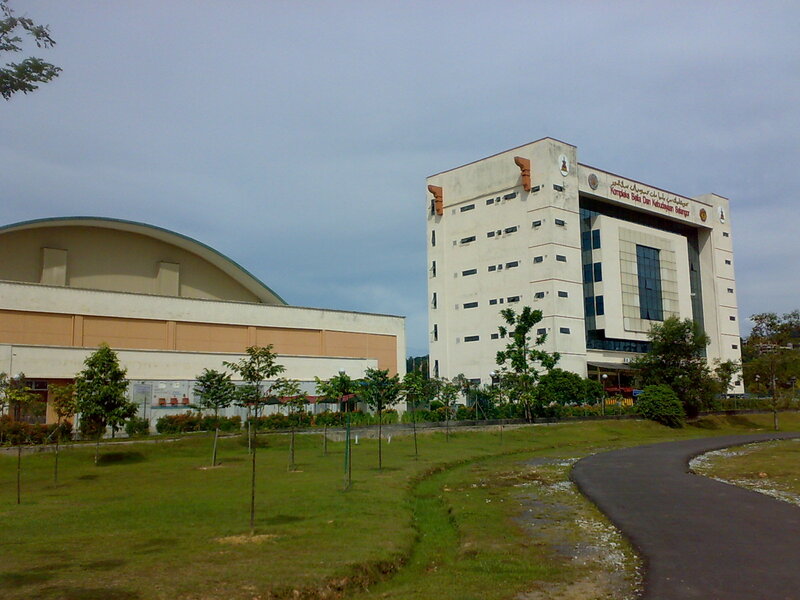 Quality and standards chess tournaments like UPSI Open are not many in Malaysia. Still got much time to practice, have chess sparring and learn new tricks and moves. Check out the reports and pictures of the previous UPSI Open editions below. Click here to read further regarding the above picture. WHY GILOCATUR WANTS TO SHARE THE ABOVE PICTURE IN THIS BLOG? ACTUALLY, GILOCATUR WONDERS WHEN A CHESS TOURNEY IN MALAYSIA WILL HAVE ABOUT THE SAME MONEY PRIZE FOR THE CHAMPION LIKE IN GOLF. A LOCAL CHESS TOURNEY NORMALLY WILL NOT EXCEED RM 1,000 MONEY PRIZE FOR THE CHAMPION. EVEN FOR THE COMING MALAYSIAN OPEN OR DATMO, THE MONEY PRIZE FOR THE CHAMPION IS ONLY USD 4,000, WHICH IS LESS THAN RM 15,000. DO YOU KNOW HOW MUCH THE CHAMPION FOR UNDER 12 OR UNDER 18 CATEGORY WILL GET IN A LOCAL CHESS TOURNEY? IT IS JUST A MERE OF RM 100 AND RM 150 RESPECTIVELY. GILOCATUR BELIEVES IF THE MONEY PRIZE IS MUCH MUCH MORE, THE CHESS TOURNAMENT WILL BE MORE COMPETITIVE. WHEN IT IS MORE COMPETITIVE, THE QUALITY OF PLAYERS WILL IMPROVE. THE YOUNG CHESS PLAYERS WILL LEARN AND PRACTICE MUCH HARDER. DOMINO EFFECT, DON'T YOU THINK? THE BIG QUESTION IS HOW TO ATTRACT BIG SPONSORS FOR CHESS? HOW TO POPULARIZE CHESS? HOW TO MAKE CHESS CLASSY AND REPUTABLE LIKE GOLF? Dungun Chess Open ended today. GiLoCatur does not have the official results. Below are the unofficial top 7 winners as per in stonemaster.info website. 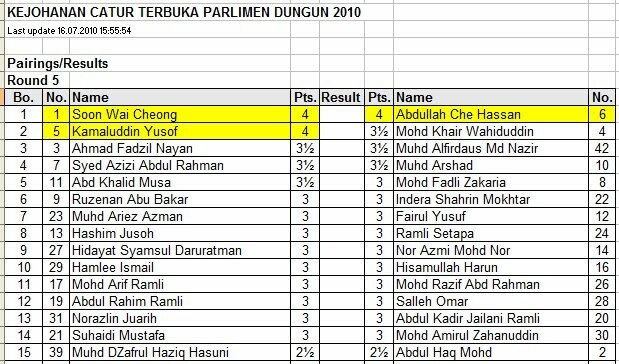 All the top 7 winners are non-Terengganu players. Go to stonemaster.info website to view the latest pictures. 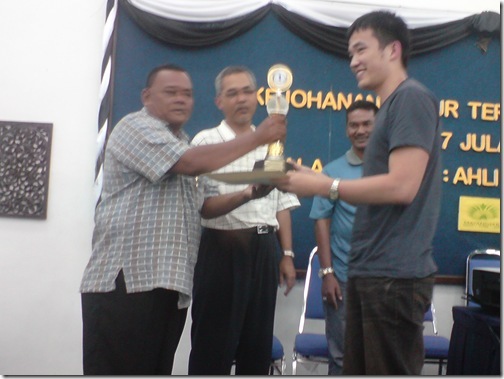 Below are the latest updates and results for the Dungun Chess Open. In the fifth round, the top seed drew while playing against the 6th seed at the top board. On the second board, the fifth seed Abg Bro who travel from Kuala Lumpur won his game against his 4th seed opponent. So, he has the full 5 points entering the sixth round and leading with half points. Can he takes the advantage to cruise through to be the champion? 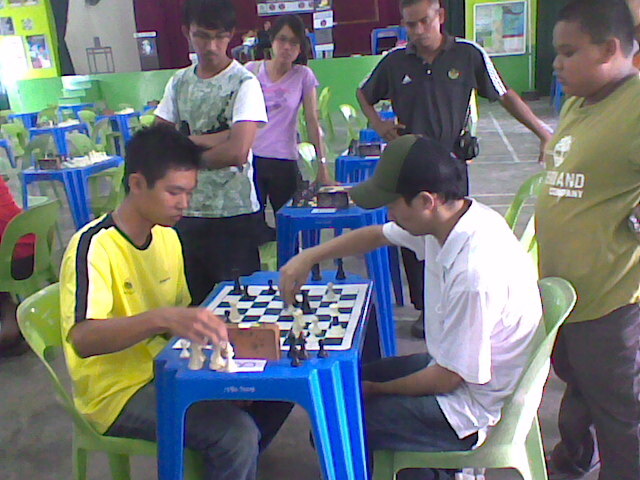 In the sixth round, Abg Bro met the top seed Wai Cheong at the top board. He could not manage to win the 6th round game. Five other players joined him in the five pointers group. Wai Cheong and Abdullah led the tournament with 5.5/6 points. So, what are the pairings for the 7th round? It is as per below picture. GiLoCatur notices that three bloggers - Muhammad Arshad of caturterengganu@blogspot, Norazlin Juarih aka Badbishops and Mohd Fadli Zakaria aka stonemaster, will be playing in the top ten boards. The most impressive one is Badbishops since he is ranked 31st. So, what are the results? Just wait for the update ... later. Or you can check out the updates in their respective chess blogs. Dungun Chess Open is on-going. 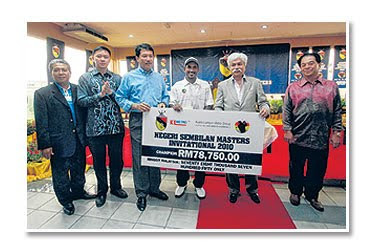 The tournament that held in a resort in Terengganu is played on two days - Friday and Saturday. The first day is over. Four rounds had been played. About 100 players including several non-Terengganu participants. Below are the top 25 seeded participants headed by Soon Wai Cheong. 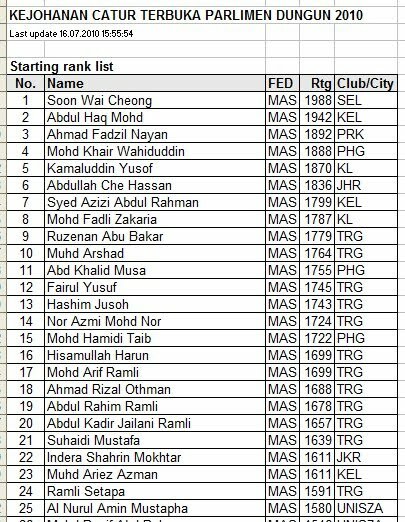 Non-Terengganu players dominate the top 10 seedings. Based on below Round 5 pairings from chess-results.com, three players have the full 4 points entering the fifth round. 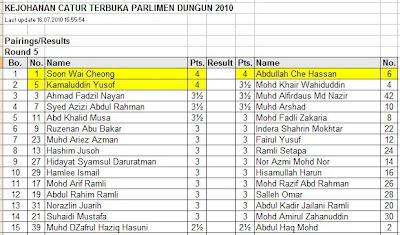 They are the top seed, Wai Cheong, Abdullah Che Hassan and Kamaluddin Yusof. Can they hold on until the final round? Who will lose point? Is one of the three full pointers will finally be crowned the champion? Or can the defending champion win again this time? We'll find out the answers after the tournament completes later today (Saturday). Good Luck to all the participants! Go to stonemaster.info to view the pictures during the tournament. GiLoCatur would like to promote a unique chess set and board as per below pictures. For further info and to order, please email GiLoCatur at sabdlati@gmail.com. The chess set pieces are stored in a velvet box as shown in the above picture. disclaimer : all the pictures are of GiLoCatur photo collection. In Kosmo newspaper this morning, GiLoCatur just found out about a Malaysian bloggers community known as Gengblogger. GiLoCatur jumped in to join the community since many benefits will be gained especially in promoting chess in among the Malaysians. GiLoCatur also urges all the Malaysian chess bloggers to join. We can widen our horizon to all aspects and other genre of blogs. Actually, the above position is from of the blogger's own games in a chess tourney. He missed a beautiful play of a smoothered check. A chess blindness uh! Sound familiar, right? GiLoCatur still remembers a comment made by a chess player. "Chess is a game of what you see". Something like that. 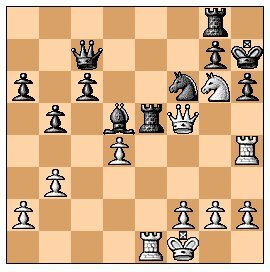 The black just made Rxe5 move. So, it's white to move. He captured the rook instead of checkmate in 3. CAN YOU SEE THE MOVES? 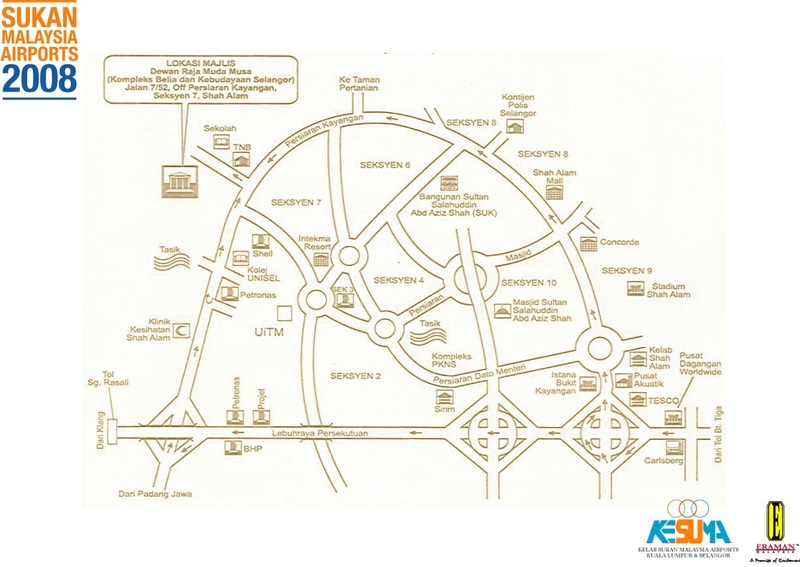 TO ALL SHAH ALAM FOLKS, ESPECIALLY SECTION 7 RESIDENTS, MARK YOUR CALENDAR - 8 AUGUST 2010. LOTS OF PRIZES TO BE WON! Click here to download the form. For further details, email to seme_event@yahoo.com or sms 014.231.2370 (stonemaster). 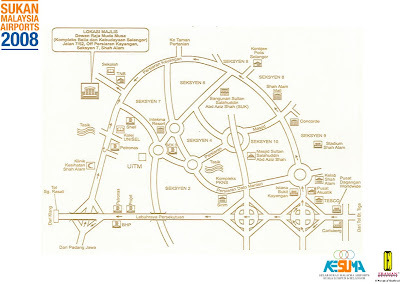 For non Shah Alam residents, if you are not familiar where the venue is, check the following map. A number of Malaysian chess junior players are participating in the Asian Youth Invitational in Beijing from 8th to 15th July 2010. Now they are in the sixth round. Below are their results thus far. Puteri Munajjah AzZahraa Azhar (G10) - 3/5 points, currently ranked 11th out of 32 total participants, won R1, R3 & R5 all with white. Camilia Johari (G12) - 3.5/5 points, currently ranked 7th out of 33 total participants, won R1 &R5 and drew the other three. No defeat thus far. WFM Nur Najiha Azman (G12) - 3.5/5 points, currently ranked 8th out of 33 total participants, won R1, R4 & R5 and drew R2. 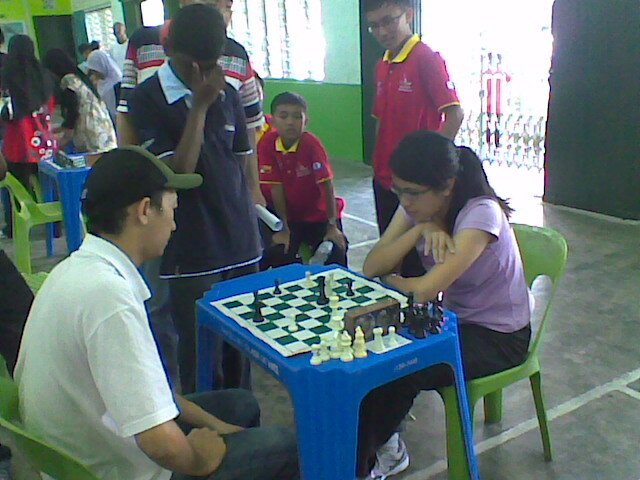 WCM Nur Nabila Azman (G14) - 3/5 points, currently ranked 10th out of 27 total participants, won R1, R3 & R4 games. Latifah Kaiyisah Latib (G16) - 2.5/5 points, currently ranked 15th out of 24 total participants, won R12 & R5 and drew R3. Nur Munirah Mat Rahim (G18) - 1.5/5 points, currently ranked 24th out of 27 total participants, won R2 and drew R4. Puteri Nurfariza Ahmad Darji (G18) - 1.5/5 points, currently ranked 25th out of 27 total participants, won R2 and drew R4. Amier Hamzah Mohd Zuhri (U10) - 3/5 points, currently ranked 17th out of 43 total participants, won R1 & R4 and drew both R2 & R3. Teh De Juan (U10) - 1.5/5 points, currently ranked 36th out of 43 total participants, won R3 and drew R1. Ooi Zhi Yang (U12) - 2.5/5 points, currently ranked 19th out of 30 total participants, won R5 and drew three other rounds - R2, R3 & R4. Tan Jun Feng (U14) - 2/5 points, currently ranked 26th out of 34 total participants, won R2 & R5. Muhd Irfan Haqqim Azhar (U14) - 2/5 points, currently ranked 25th out of 34 total participants, won R3 and drew R4 & R5 games. Muhd Nabil Azman (U16) - 3/5 points, currently ranked 9th out of 26 total participants, won R1 & R5 and drew R2 & R4. Tan Ken Wei (U18) - 2/5 points, currently ranked 19th out of 28 total participants, won R2 and & R4, all with black pieces. Lost to higher-rated opponents in the other three rounds. 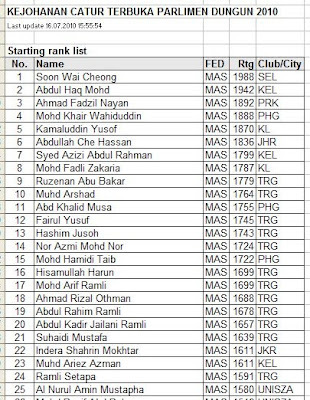 Muhd Izz Saifuddin (U18) - 1.5/5 points, currently ranked 24th out of 28 total participants, drew R2, R3 & R4. Lost to higher-rated opponents in the other two rounds. Mohd Noor Azam Mohd Noor (Challengers 14) - 2.5/6 points, currently ranked 23rd out of 41 total participants, won R1 and drew R2, R3 & R6. Sadly enough for the Oranje team, the third time unlucky. 1974, 1978 and 2010 the third one. Won all the games - the three group games and another three in the knock-out stage EXCEPT the final game. Anyhow, congratulation to the new world cup champion - SPAIN. SPAIN had won the EURO. And now, the world cup. They are on the top of the world. The 2010 World Cup has ended. Until the next four years, in Brazil! It is about an hour to for the 2010 World Cup Final between the Netherlands (Holland) and Spain in South Africa. GiLoCatur is still awake for the game. Hopefully, GiLoCatur can stay awake to watch the final game. Which is your favourite team to be the new world cup champion? You can vote your choice. 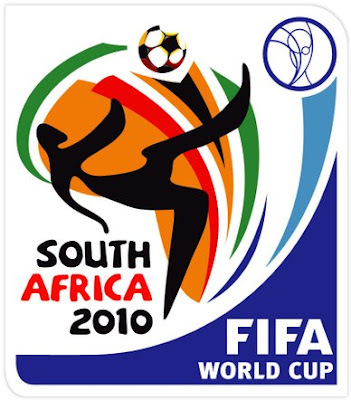 2010 FIFA World Cup is hosted by South Africa. GiLoCatur's top two favourite teams - Ivory Coast and England, had gone home. Today, the once-in-four-year biggest sport event will come to end. Surely, chess players follow the event too and have their own favourite teams. 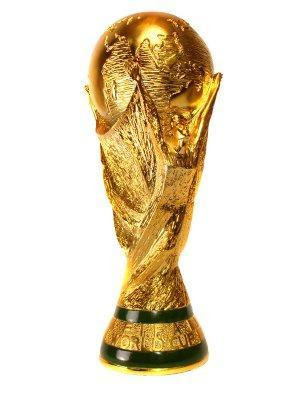 At the end of the final game, which team will lift the above FIFA world cup trophy? Arjen Robben (above pic), ex-Chelsea and a gifted player, is one of the main reasons why GiLoCatur favours HOLLAND. 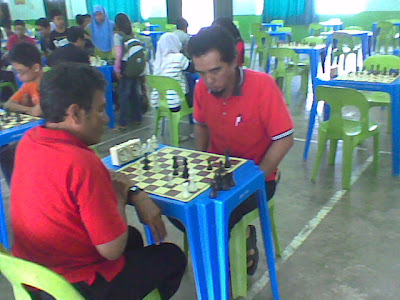 The above Mr Razali who operates a computer shop nearby the Ole Ole shopping complex was the first round of GiLoCatur's opponent. GiLoCatur hopes he will participate more in chess tournaments especially in Shah Alam area. For anyone who needs his computer-related services like repair, rental and sale please give him a call at 03-5542 2000 (Crescent Communications Sdn Bhd) or email razali@gmail.com. In the third round, GiLoCatur met the above chess opponent, a Jordanian. Not only the Filipinos and the Indonesian participated in a Malaysian local chess tournament, but Jordanians too. GiLoCatur was late and had about 10 minutes left to play. Bilal used his time efficiently and took the advantage to defeat GiLoCatur who dreamed to be among the winners in the tournament. Not a bad game for GiLoCatur actually. GiLoCatur faced the above chess player in the fifth round. GiLoCatur fumbled a winning advantage for attacking aggressively even though had more time than him. Finally, our game ended draw. What a missed opportunity for GiLoCatur to earn the full point.